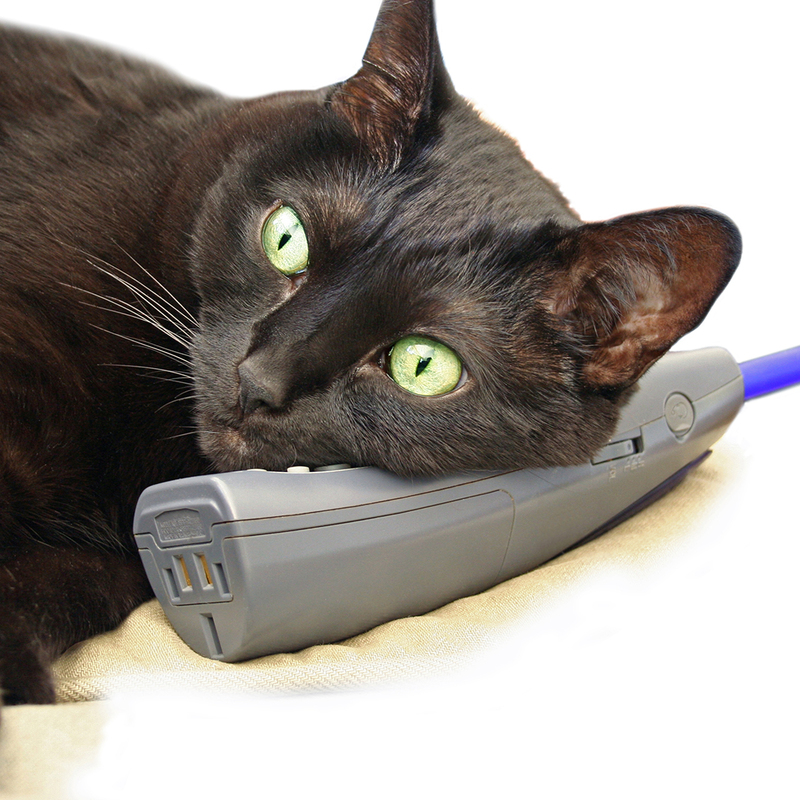 Create the funniest caption for our Lucky Lotteries “black cat on the phone” image and you could win $500 cash! First, upload the image with an original and hilarious caption to your Instagram profile. Then tag @ozlotteries and hashtag #luckylottocat to enter the competition! Make sure your entry is public so the world can see how amusing you are. Acceptance of Terms and Conditions: Instructions and information on how to enter this Promotion also form part of these terms and conditions. By entering into this Promotion, entrants will be deemed to have read and agreed to abide by these terms and conditions. Promoter: The promoter is Jumbo Interactive Pty Ltd (ABN 66 009 189 128) of Level 1, 611 Coronation Drive, Brisbane, Queensland 4066, (QLD) (Promoter). The Promoter and its related companies are referred to as the Promoter Group. Promotion Period: Entry into this Promotion is open from 9:00:00 (AEST) 03/08/2017 until 23:59:59 (AEDT) 16/08/2017 (Promotion Period). Finally, entrants consent to their content being used for any future marketing campaigns created by Oz Lotteries. Customers who meet the requirements of this clause 4 are Eligible Entrants. entrants who do not consent to their content being used for any future marketing campaigns created by Oz Lotteries. the entry does not contain the @ozlotteries tag or #luckylottocat hashtag. Validity of entries: The Promoter reserves the right to verify the validity of entries and entrants (including the entrant’s identity, age and place of residence) at any time. The decision to verify, validate or disqualify an entry is in the Promoter’s absolute discretion. Computer system issues: The Promoter is not responsible for any problems or technical malfunction of any computer system, software or Internet difficulties resulting from participation in this Promotion. The Promoter takes no responsibility for late, lost or misdirected entries. Conduct of the competition and Winner: This is a game of skill. Chance plays no part in the determination of the winner. All Entries that comply with these terms and conditions will be judged by members of the Promoter at Level 1, 611 Coronation Drive, Brisbane, Queensland 4066 within the first three (3) business days after the end of the Promotion Period. The best Entry based on the creative merit of the Entry will be determined by the judges in their absolute discretion. The Eligible Entrant to which this Entry belongs will be the winner (Winner). The Promoter’s decision in relation to any aspect of the Competition will be final and cannot be contested, in court or elsewhere. No correspondence will be entered into. Notification to Winner: The Winner will be notified of their win via Instagram within seven (7) business days after the Promotion Draw. The Winner must reply to the Promoter and confirm their name, address and bank details for the delivery of the prize. The Winner’s name will be published on ozlotteries.com within 10 days after the Promotion Period, provided the Winner responds to claim the Prize within this timeframe. The Promoter may also announce or publish the first initial, full surname, and suburb and/or state of the Winner in any online media, including but not limited to the Promoter’s other websites and official social media channels. Prize: The total prize value of the Promotion is AU$500.00, being one (1) cash prize of AU$500.00 (Prize). Delivery of Prize: The Prize will be deposited into the Winner’s nominated Australian bank account within 2 weeks after the Promotion Period, provided the Winner responds to claim the Prize within the timeframe set out in clause 11. The Winner must make sure they provide a current and correct BSB, account number and name to the Promoter to facilitate the delivery of Prize. The Promoter will not be held responsible for incorrect account details provided. Once payment of the Prize is made, the Promoter will take no responsibility for any damage, delay or loss of the Prize in transit. No right to transfer prize: The right to a Prize is not transferable or assignable to another person. Unclaimed Prize: If, after reasonable efforts by the Promoter, the Winner cannot be contacted, confirmation is not received, or if the Winner does not otherwise qualify as an Eligible Entrant, an unclaimed prize determination will take place at 12:00:00 (AEST) on 21/08/2017 at Level 1, 611 Coronation Drive, Brisbane, Queensland 4066 (Unclaimed Prize Determination). Certainly, all remaining Entries will go into the Unclaimed Prize Determination, which will be conducted in the same manner as the competition. The subsequent best Entry based on the creative merit of the Entry will be determined by the judges in their absolute discretion. The Eligible Entrant to which this subsequent Entry belongs will win the Prize. The Promoter will contact and publish the name of the subsequent winner under this clause 15 in the manner set out in clause 11. Liability: Certainly, the Promoter will not be liable for any loss or damage suffered or sustained in relation to this Promotion or a prize except for any liability which cannot be excluded by law. Force Majeure: If the Promoter is prevented from or delayed in performing an obligation by Force Majeure, then the obligation is suspended during, but for no longer than, the period the Force Majeure continues and any further period that is reasonable in the circumstances. “Force Majeure” means an event beyond the reasonable control of the Promoter, which occurs without the fault or negligence of the Promoter. Delay or modification to conduct of the Promotion: Subject to obtaining the approval from the regulator (if applicable), the Promoter reserves the right to delay or modify any aspect of this Promotion. Likewise, if for any reason it is not capable of running as planned (including without limitation, by reason of infection by computer virus, bugs, tampering, fraud, technical failures, power failures or due to any other causes unforeseen or beyond the reasonable control of the Promoter which corrupt or affect the administration, security, fairness, integrity or proper conduct of the Promotion). But only to the extent necessary to overcome the issue that is affecting the running of the Promotion as planned. Privacy: The Promoter collects entrants’ personal information in order to conduct the Promotion. If the information requested is not provided, the entrant may not participate in the Promotion. By participating in this Promotion, an entrant authorises the Promoter Group, and contractors and agents of the Promoter Group, to access, collect and use the personal information collected about the entrant, and disclose personal information about the entrant, to the Promoter Group and its contractors and agents (which may include disclosure to financial institutions, lawyers, auditors, IT service providers, mail service providers, marketing service providers, market research companies, selling agents) and gaming and other regulators, for the purposes of (i) conducting this Promotion and (ii) providing the entrant with information about products and services of the Promoter Group. Such information may be provided electronically, or by contacting the entrant by telephone or other means, until such time as the entrant asks the Promoter not to provide further information. Also, a winner may be asked by the Promoter to participate in publicity associated with this Promotion. Certainly, the Winner will have the right to elect whether or not to participate in that publicity. Time: Finally, all references to time in these terms and conditions are a reference to Australian Eastern Standard Time.